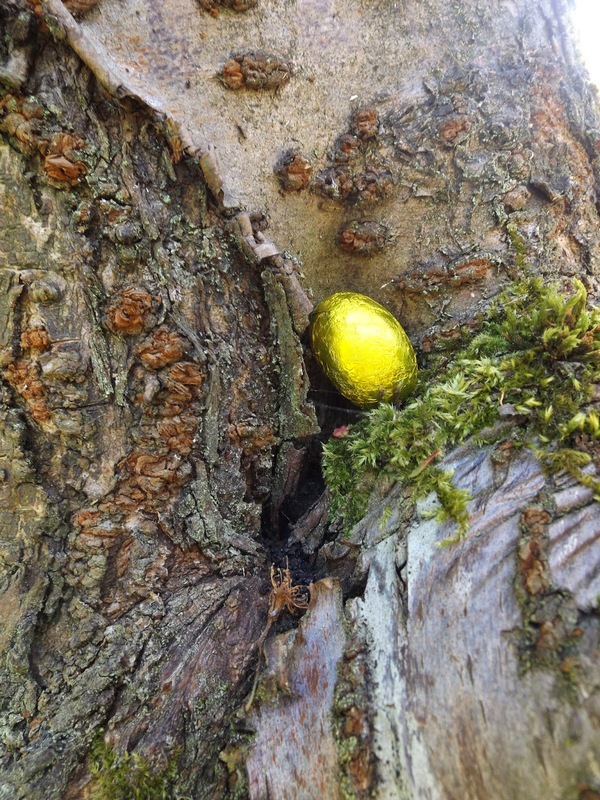 Every year when I was small an Easter Egg hunt would be the highlight of my birthday party. Being born in mid April means that Easter more often than not falls within a couple of weeks, and on occasion on my actual birthday. Therefore - for me, Easter has that familiar excitement we all get with a looming birthday. This year is no exception. My birthday was this week and Easter Sunday, sure enough, falls tomorrow. 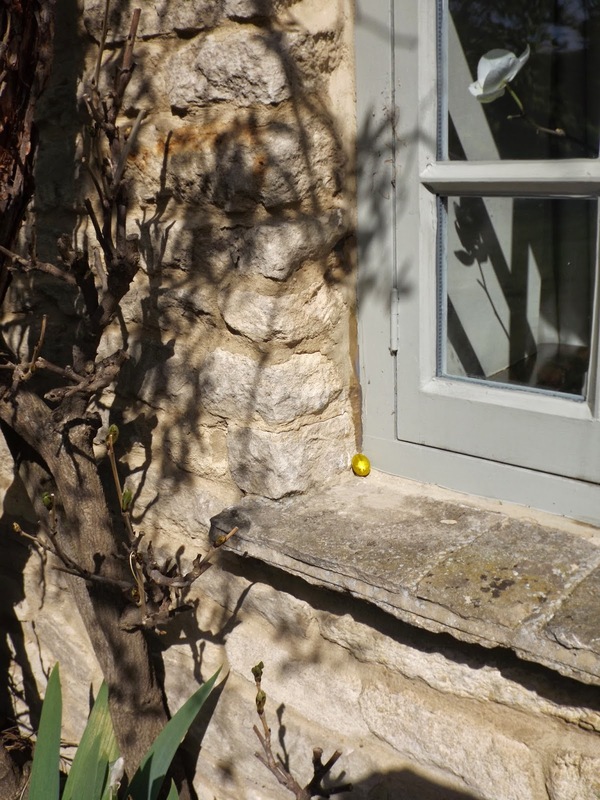 This years Easter Egg hunt was this on Easter Saturday. There was a big family debate about when lent actually ended. The consensus was actually easter saturday so easter egg hunting, and more important consuming was allowed! 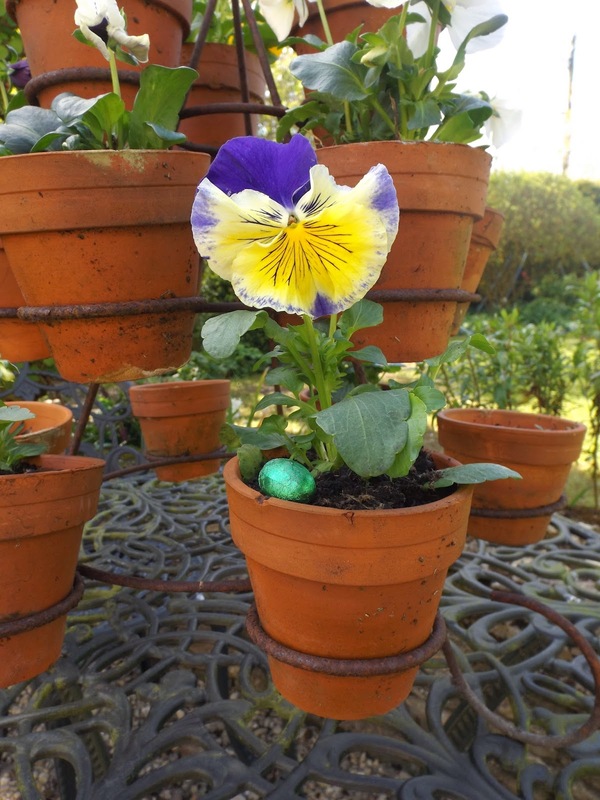 Shimmering coloured eggs hidden among flower pots, trees and a flurry of excitement as baskets begin to fill up. The garden is looking beautiful too which meant hiding eggs in bursting flowers and among fresh buds. All the more fun and trickier to find! 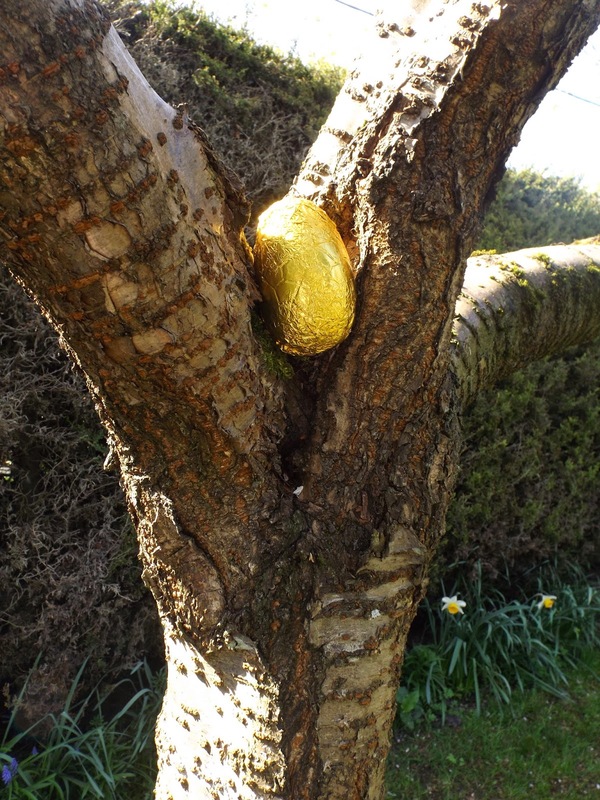 The large golden egg is the prize for the person with the most eggs. This year positioned precariously in the cherry tree. 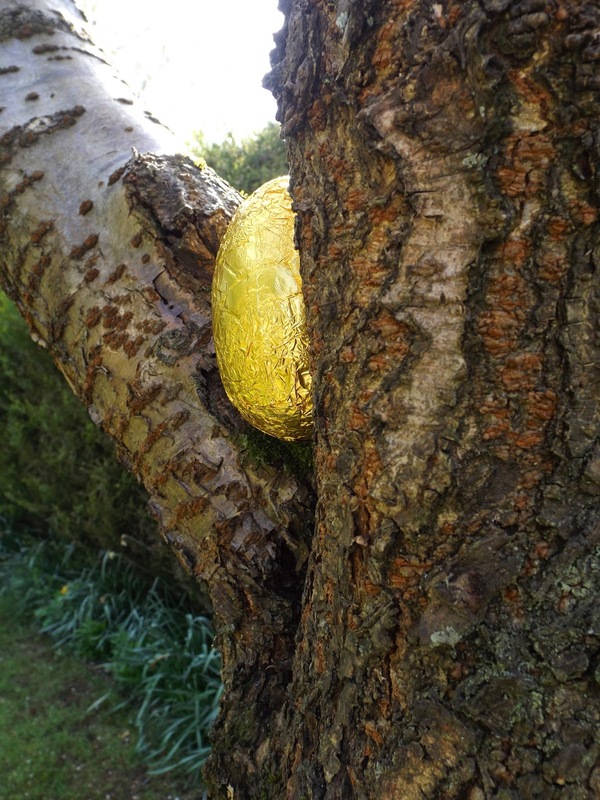 If you are having an Easter egg hunt with little ones this year, give everyone a different colour to find, this avoids arguments and gives your egg hunt a difference.